So I'm sitting here at Panera eating my lunch, and I was thinking about what I can do. So I figured, why not write a blog post about some of my favorite places to go for lunch! Being a college student, I try to save my money, however when it comes to lunch, twice a week I let myself go out and get lunch. Today I chose Panera. It isn't the cheapest place to eat lunch, but I'm always left with a smile on my face and they never fail to satisfy my growling stomach haha. Plus it's easier for me to grab lunch their then go back home and waste my gas to make myself a sandwich. I could eat at my school's student center in the food court, but honestly, I'm not a fan of their food. It's also around $7 for a salad, and I'd rather go to somewhere like Panera where I know I'll get something I love for my money rather than an iffy meal. Sometimes I'll bring my own lunch, but today's post is about places to go out to eat. 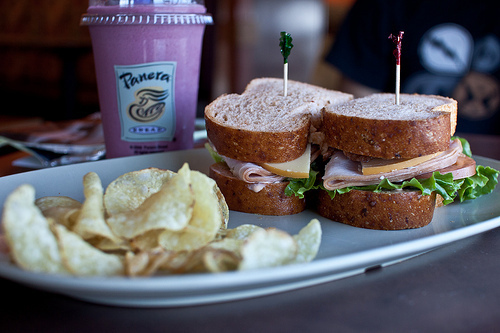 You can't go wrong with Panera. I love the You Pick 2 deals. That's where you can choose either half a sandwich, salad, or soup. I love it. I get half of my favorite sandwich (tomato and mozzarella panini) and one of my many favorite salads (greek, caesar, or cobb) Plus they have an awesome rewards program. 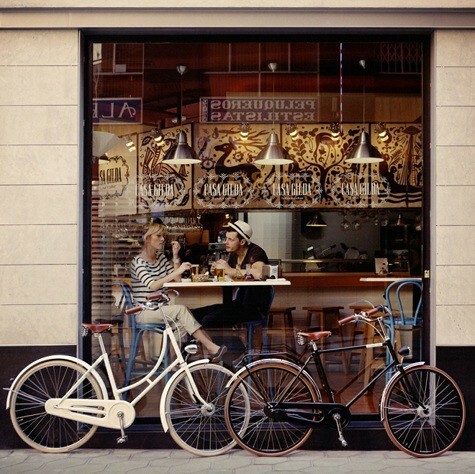 You can earn free thing such as a free pastry, drink, coffee, or a few dollars off of your meal. 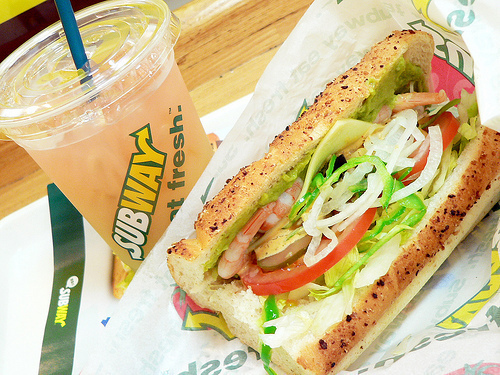 Eat fresh! I love Subway, I can get a BLT loaded with my favorite veggies and only pay $5! 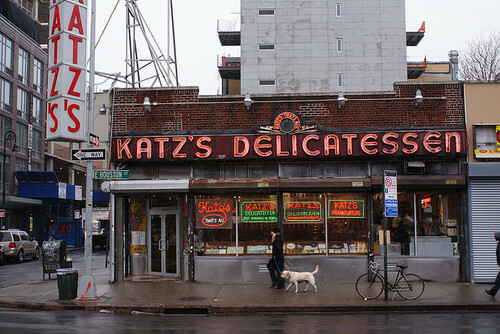 I love to visit my local delis. They always have something yummy cooking and awesome sandwiches. It's a little pricier at times but I love supporting local businesses.